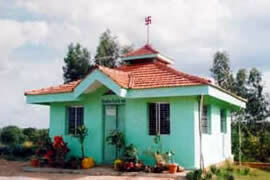 The Ananda Marga Polytechnic was established in the year 1986. This institute is situated in a remote village namely Mylandahalli of Kolar district (one hour journey from Bangalore) and is serving the weaker section of rural youth by imparting technical education to them for minimum and affordable expenses. We offer three year Diploma Certificate Courses in (1) Mechanical Engineering (2) Computer Science and Engineering (3) Electronics and Communication Engineering and (4) Civil Engineering. Students, after passing Matric or high school (i.e. Xth class), are entitled to join these courses. This Institute is recognized by the State Government of Karnataka through ‘The Directorate of Technical Education, Bangalore ’ and approved by the Ministry of Human Resource and Development, Govt. 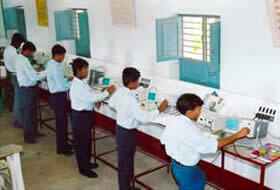 of India, New Delhi, through the All India Council for Technical Education, New Delhi. 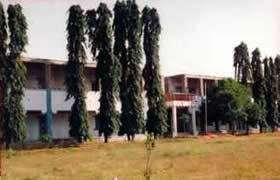 The Polytechnic Campus is spread over 13 acres of land and includes the College, a hostel building, a Mechanical Workshop, as well as Hydraulics and Thermal Labs. The Polytechnic has 24 faculty members who are managed by the Principal/Secretary of the Polytechnic without any financial help from out side. The entire affairs of the institute are monitored by the Management Committee, which is comprised of senior members of Ananda Marga in the local area. 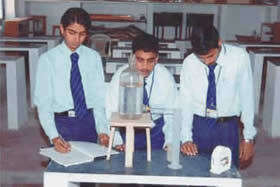 For more details and information you may contact us through mobile:When I joined this institute in the year 1998, it was in the doldrums; no equipments, no computers, no reputation and the coffer was empty. But I did not worry and accepted the challenge and worked hard. By Grace I brought nearly Rs. 3.0 million from various well-wishers and philanthropists namely Shri S.S. Goenka, Shri Vijay Agarawal, Shri S.B. Goenka, Ac. Yatiishvarananda Avadhuta, Shri Kirit Dave, etc. and made the College healthy. 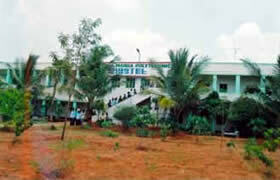 In spite of a few shortcomings it has become a reputed college of Karnataka State. Almost 60% of the students of the hostel have learned meditation. Daily collective evening meditation and weekly collective meditation are a part of their routine. The Polytechnic is materializing the dictum that “Ananda Marga is a man making mission”. 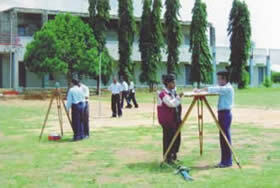 At present its reputation is growing and students from all over the country are applying for admission. No. 1) 9448129828 and 2) 9448444090 and land lines 1) 08151-211481 and 2) 08151-232078. Your donations will be most welcome.